Motorola is now selling the new slim band version of the Moto 360 through its own online shop as an “option for smaller wrists or for people who want a different look.” The slim bands come in metal, but aren’t necessarily cheaper than the thicker, original metal band 360s. 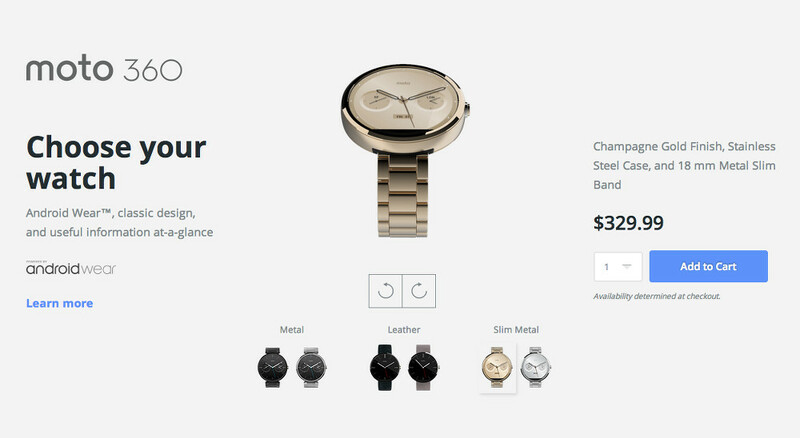 The slim metal Moto 360 in a light finish runs $299, whereas the champagne gold edition jumps up to $329. Be sure to read our Moto 360 review if you haven’t already.